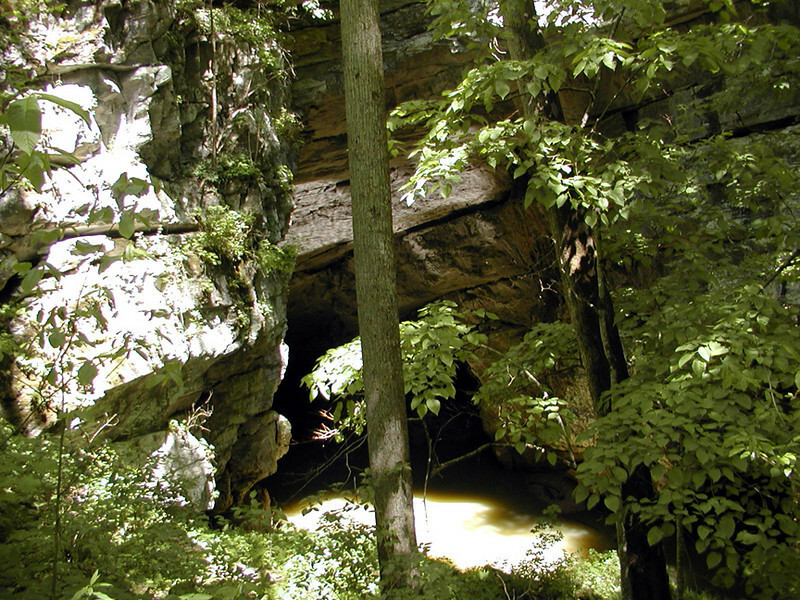 Head of the Sequatchie... this is Devil Step Hollow Cave. It is the source of the Sequatchie River. It is murky today because of the flood the week before. It is usually a pretty blue hole of water.